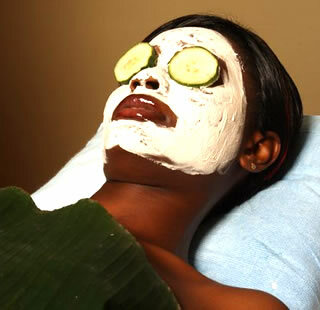 Clear Essence California Spa is a wellness resort located on Lagos Island. It is an exclusive member only facility tucked away in a lush garden setting in old Ikoyi, ensuring your security and privacy. It is the first membership resort in West Africa born and cultivated from Hollywood California for the stars of the continent and the world beyond. 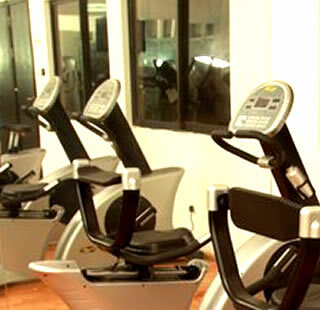 The resort is located in the middle of busy and chaotic Lagos Island – a haven fashioned after the California concept of overall well-being and health. Clear Essence California Spa is easily accessible from the neighbouring suburb of Victola Island. It is close to Lagos Bar Beach, Silverbird Galleria and Palms Shopping Mall as well as other Lagos tourist attractions including the National Museum. With only 18 rooms, this opulent resort features romantic villas and suites decked with custom made mattresses and goose down pillows. Outside are gardens with soothing waterfalls, enveloped with the sound of music. The spa offers ten treatment rooms, a dipping pool, scented steam showers, sauna, yoga studio and a fitness centre. Their Balinese therapists, fitness and wellness advisers ensure that you receive the ultimate personalized spa experience. Adopting a holistic approach to wellness, the facility offers wellness packages that comprise cleansing therapies with good nutrition, body work and health education, combining to effect relaxation and rejuvenation of the body and mind. All members and their guests will have complete access to the resort and benefit from the unique facilities and extensive services available. Members also receive preferential rates and exclusive benefits from associated partner companies, including luxury concierge providers, private bankers, hotels and airlines. Developed in coordination with internal health and beauty experts, their tailored beauty and body programs provide the ultimate experience. Whether you are an avid spa-goer or have never experienced a spa treatment, their intuitive experts will leave you feeling relaxed and cleansed. Each treatment is highlighted by natural plant and sea extracts and aromatic restorative essential oils. If being deliciously pampered is high on your list of things to do, you will love your experience at Clear Essence California Spa and Wellness Resort. The resort aims to help you achieve a fit mind and a fit body, offering tried and true fitness programs, activities and wellness consultations. Participation in a safe, comprehensive and effectiveness program can be life-altering, leading to enhanced weight loss, reduced stress, increased relaxation and mental clarity. For many, it begins here at Clear Essence California Spa Wellness Resort. Talk to one of their spa fitness representatives and ask about how they can tailor a fitness program for your specific goals and needs. Indulge in a diverse spread of healthy cuisine, bursting with flavour and professionally prepared by their culinary team. 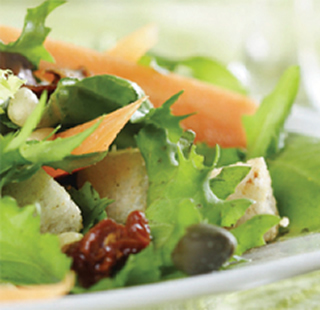 Each dish, accompanied by garden fresh herbs and vegetables, complements your fitness and wellness program. Their menu highlights fresh ingredients, regional produce, unprocessed whole grains, fresh fruits and vegetables, essential fatty acids and lean proteins. Ingredients are carefully prepared and artfully woven into mouthwatering masterpieces, proving that simple healthy eating can be elevated to gourmet status. Beverly Hills offers guests space and luxury with two his and hers 42” plasma TV’s and a bathroom featuring a multi jet shower and Jacuzzi bath tub. With wonderful views over the landscaped gardens their largest suite features access to the verandah where private seating is available for discreet meetings. Their well appointed rooms have a multi jet shower, queen size bed with imported cotton linens and all are located on the ground floor. Rooms come with a complimentary mini bar and tea/coffee making facilities. Their suites are larger than the comfort category with a king size bed, multi jet shower or large soak tub, 32” plasma TV with cable service. 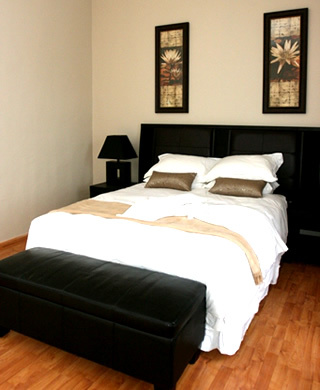 All suites come with a complimentary mini bar and tea/coffee making facilities. 13 Alexander Road, Ikoyi, Lagos.